Many ghost stories and tales of the supernatural are told from the point of view of the mournful protagonist, who acts as narrator (e.g. Victor Frankenstein's narrative from Mary Shelley's "Frankenstein"). Was this a 'Horror Host'? Not really. Where horror hosts really made their debut were the old radio mysteries such as "radio's outstanding theater of thrills" Suspense! and "Radio's Top Mystery" The Whistler. "I am the Whistler, and I know many things, for I walk by night. I know many strange tales, hidden in the hearts of men and women who have stepped into the shadows. Yes... I know the nameless terrors of which they dare not speak." Radio shows need narration. Why not a spooky one to match the tone? These hosts set up the ghastly stories every week with their own unique 'hook'. These hosts created a BRAND. And thus, in Crime Patrol #15 appeared The Crypt Keeper. In the fifties, there were a dearth of weird/mystery/crime comics. Check this out. Having a spooky narrator present your stories was genius. 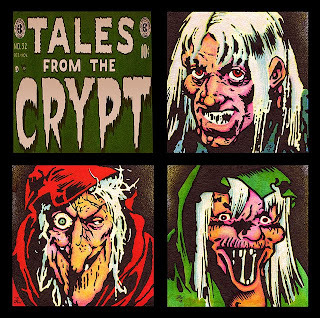 The average 11-year old might not know 'Mysterious Adventures' from 'Mystery Tales' but by golly they knew 'Tales From The Crypt'. That was the one with The Crypt Keeper. The old guy who kept cracking nasty puns, injecting humor into a scary story to diffuse the tension... Why, just like you and your friends did. Make fun of it and it's not so scary. Right? 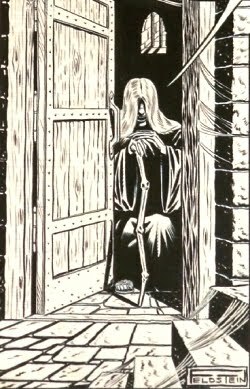 And thus 'The Vault Keeper' (The Vault of Horror) and 'The Old Witch' (The Haunt of Fear). 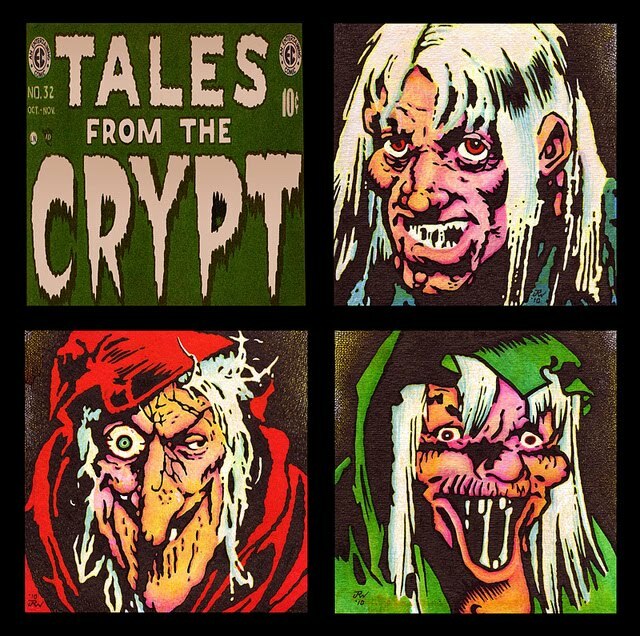 It was the Crypt Keeper's, Vault Keeper's or Old Witch's. The artists and writers worked for them to present their tale of the macabre.